At the New York International Gift Show, we saw so many great pieces on display. These two chairs caught my eye. 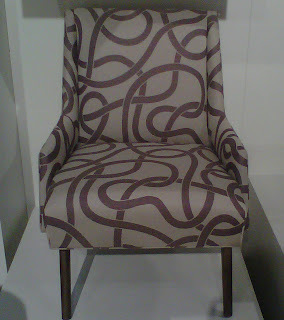 The fabric on the first Dwell Studio chair is a fine example of the chain link interpretation. I have used versions of this patter in the last year quite successfully. I simply love the swirl print on the second chair. It adds shape and dimension to this lounge chair. The fabric, from Finland, is a woven cotton hand print. Both chairs are gorgeous and versatile. The simplicity of the lines works with so many different types of designs but the intriguing fabric makes them an easy accent piece for a variety of spaces. 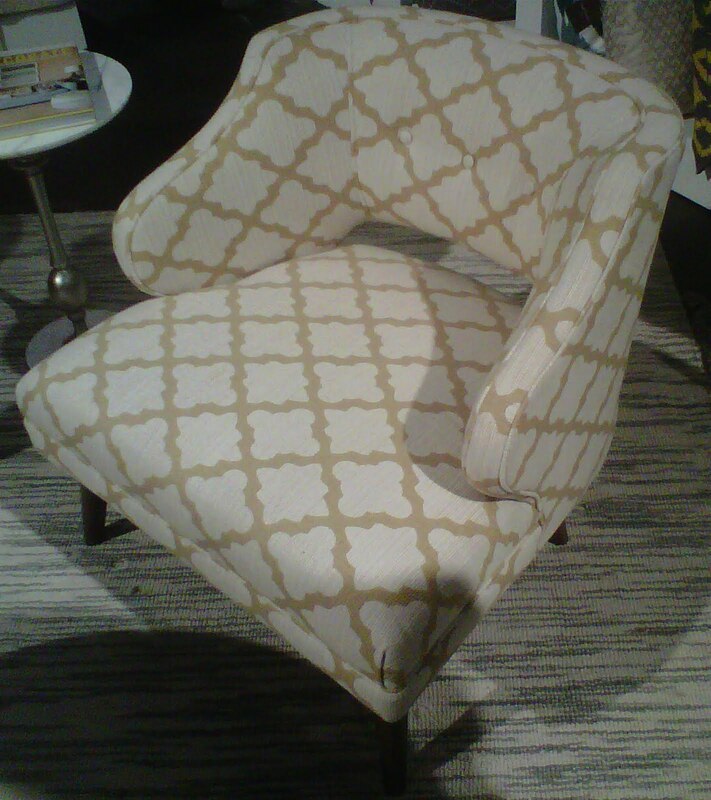 I love both of the chairs -,they are structured but the pattern gives them an edge.